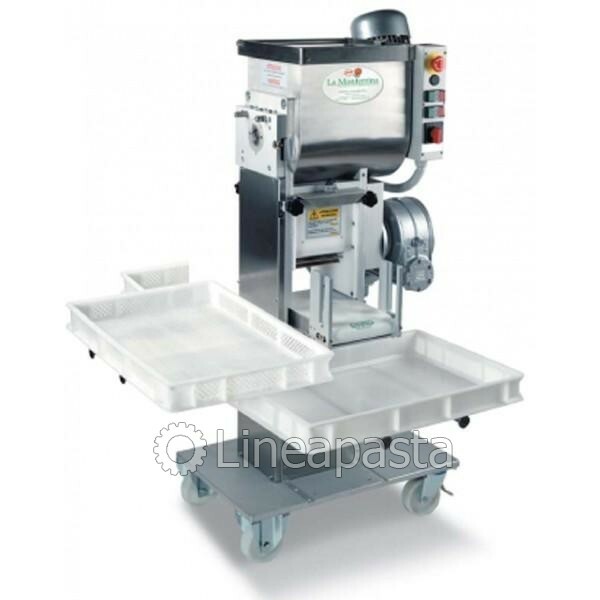 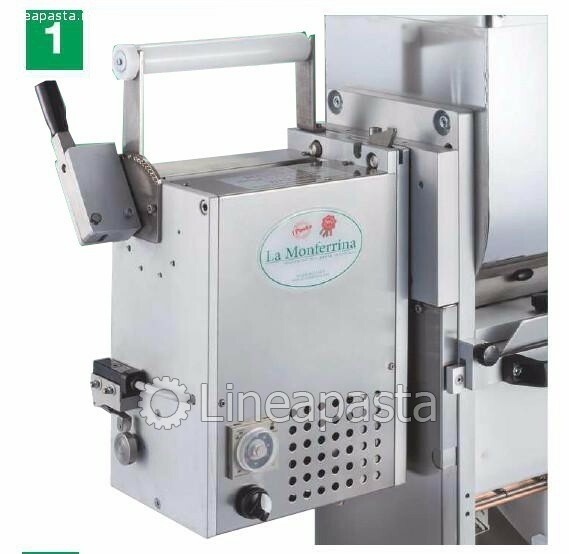 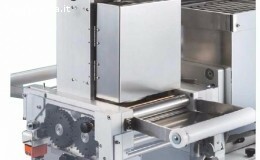 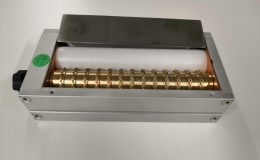 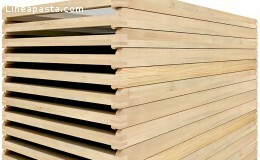 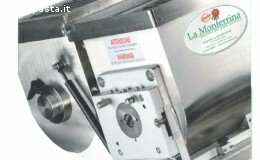 La Monferrina Pidue in an automatic pasta sheeter with sigle kneading vat for the production of pasta sheets having a width of 168 mm and a thickness of 2,5 mm. 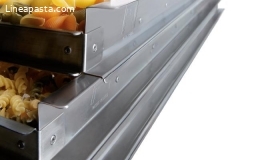 Pidue is made of anodiez aluminium in its axternal structure and the parts that are in contact with pasta are made of stainless steel; it respect all accident prevention regulations in force. 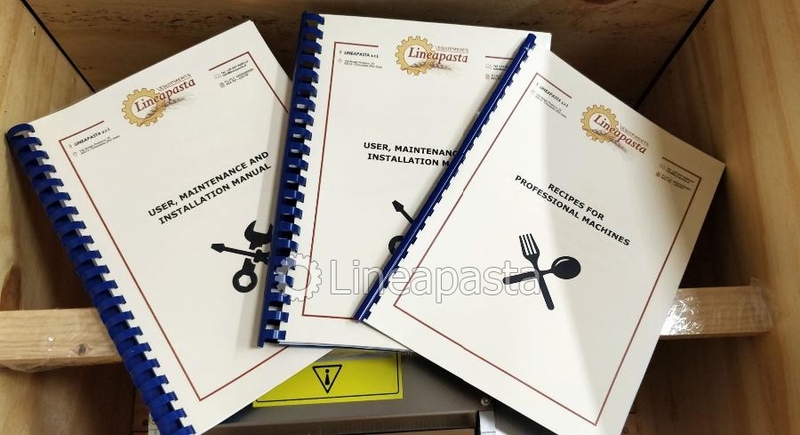 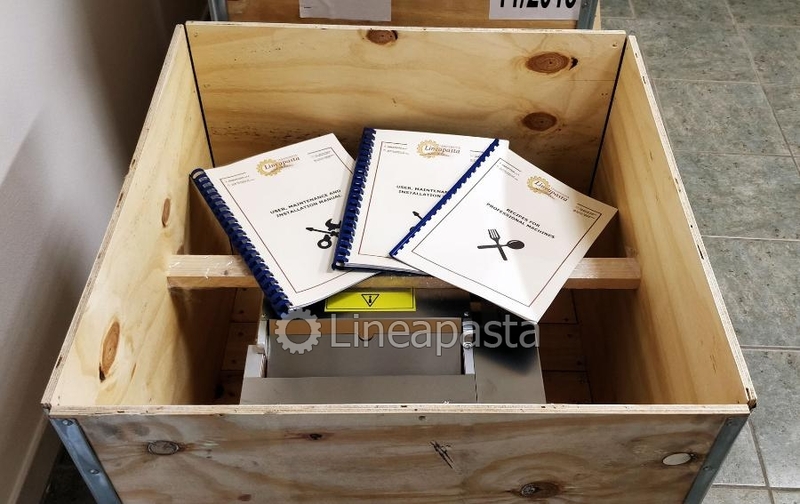 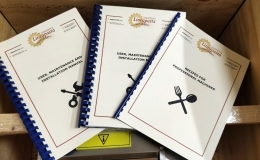 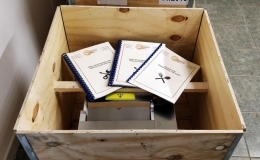 Lineapasta supplies together with the machines and only to its customers, a user, maintenance and installation manual in paper and digital format with also a pasta recipe book, to be used with our professional machines. 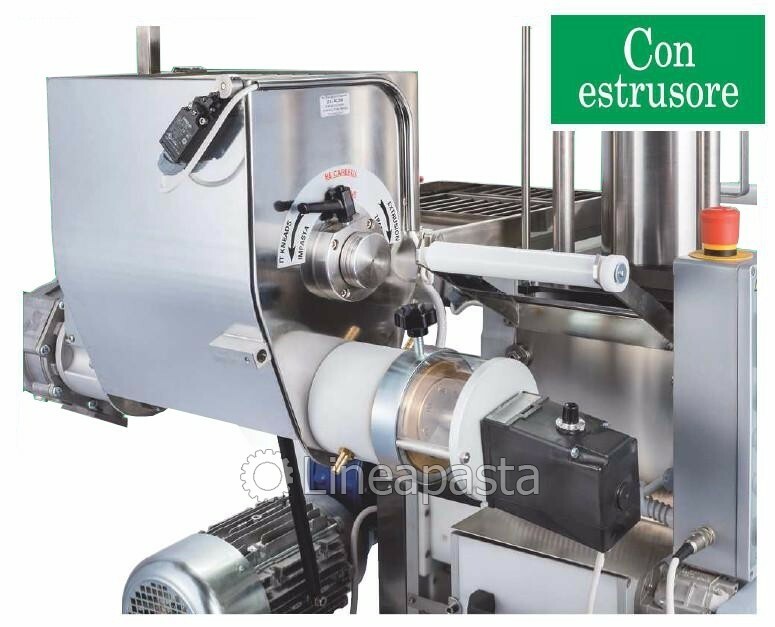 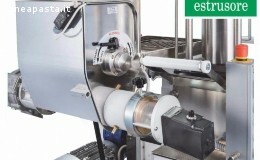 Double vat with extruder and cutting unit: Pidue with the extruding vat is an automatic pasta sheeter with a double vat: the upper vat icludes an extruding head for producing any kind of pasta, only by replacing the extruding die (both bronze and PTFE dies are available: bronze dies extrude a rought pasta while PTFE dies extrude a smooth and more trasparent pasta). 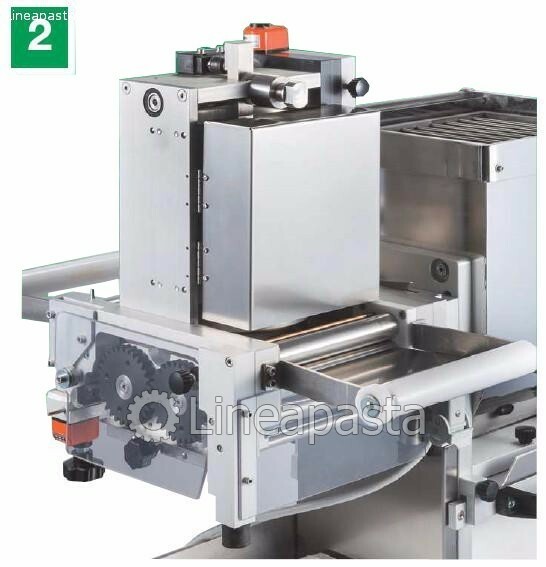 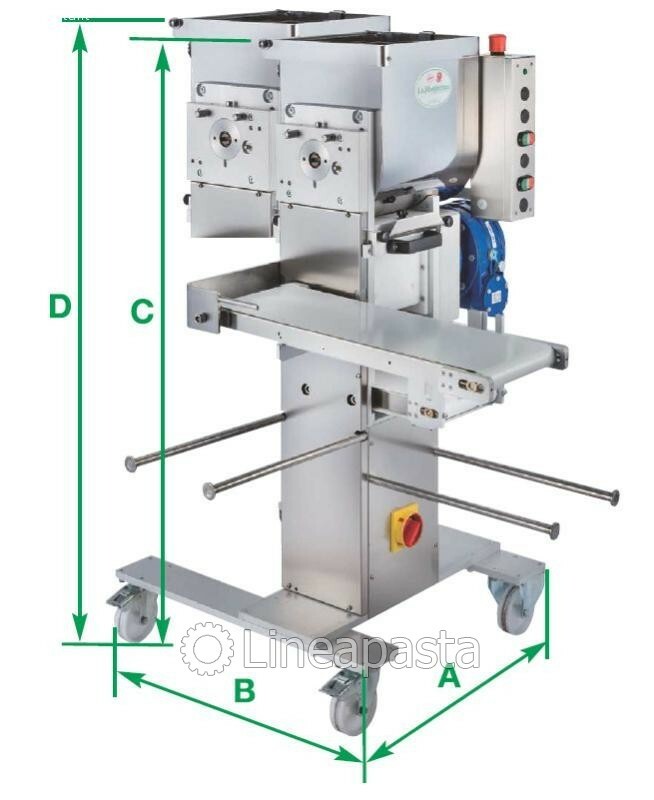 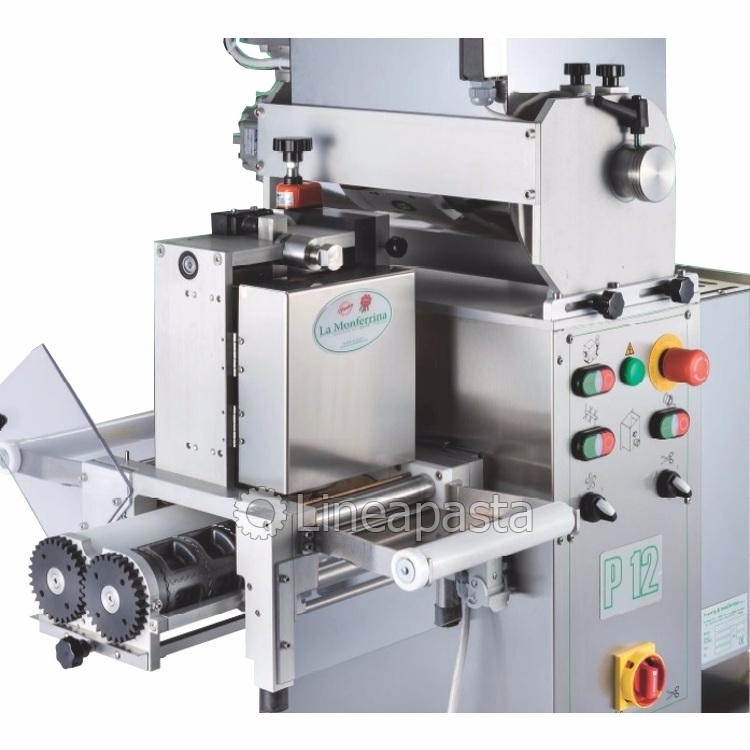 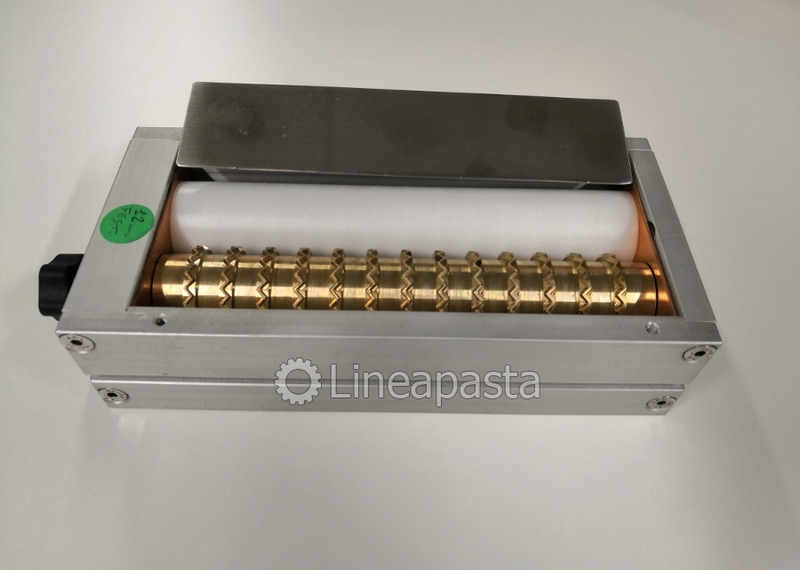 Pasta sheet cutting unit (1 mould included): the pasta sheet unit produces long pasta cut by length and in different sizes by inserting special cutting units. 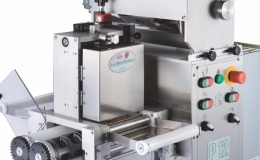 Ravioli Group: it curries out the production of perfect ravioli strip, in various shapes and with different types of soft fillings made of vegetables, cheese, meat and other kinds of mixed fillings. 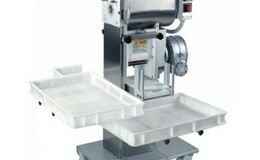 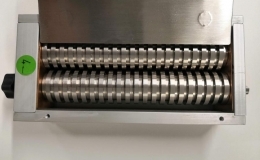 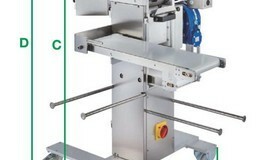 The ravioli group has a fixed mould integrated with the machine and once the size has been chosen, this cannot be changed unless you buy another Ravioli Set. 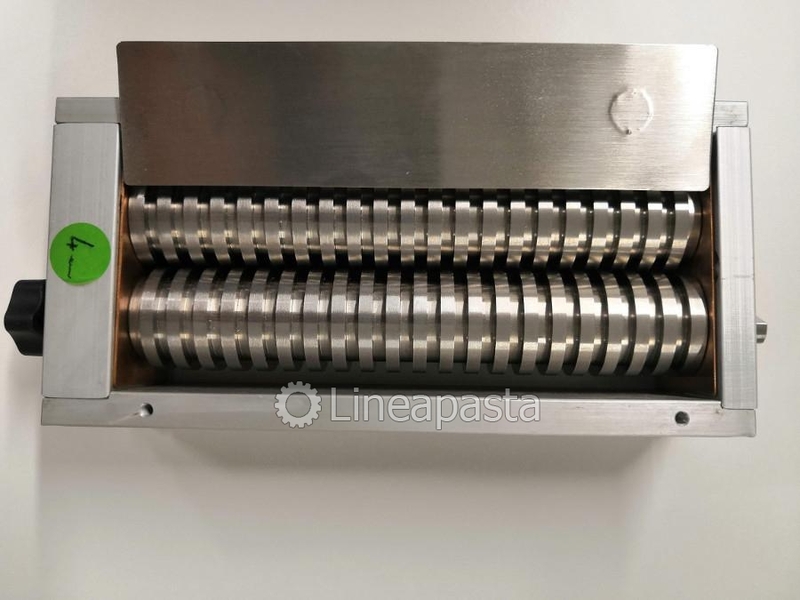 If you want to produce different shapes and sizes of ravioli with interchangeable ravioli moulds, you have to buy the Multipasta accessory. 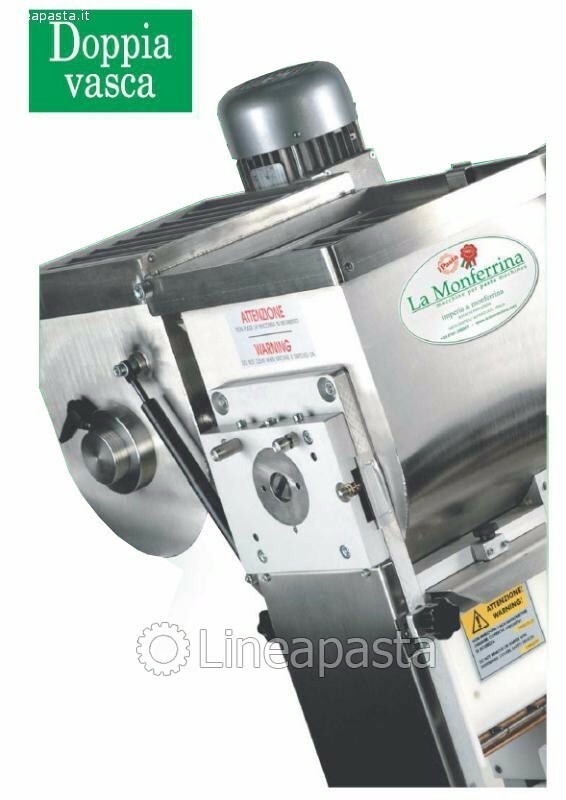 Gnocchi Group: it carries out the production of gnocchi made of potatoes or made of potatoes flakes in various dimensions and with additional ingredients such as tomatoes or spinaches. 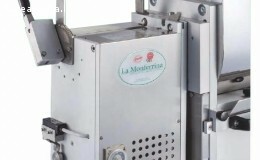 The assembly of all the accessories is simple and pratical.